Kunal Sen is ESID’s Joint Research Director, along with Sam Hickey. Professor of Development Economics at the Institute for Development Policy and Management at the University of Manchester, Kunal is also Professorial Fellow at the Brooks World Poverty Institute, Research Fellow of the IZA, Bonn, and a member of the elite South Asia Area Panel of the British Academy. Born in Mumbai, Kunal studied economics at Elphinstone College and Jawaharlal Nehru University, India, and received a PhD in Economics from Rutgers University, USA. He has previously taught in the Indira Gandhi Institute of Development Research, Mumbai, The Australian National University, Massey University, New Zealand, and the University of East Anglia, UK. Kunal’s main research areas are economic growth, the analysis of poverty and labour markets, international trade and finance. His current research examines the political economy determinants of economic growth, and the role of institutions in economic development. At ESID, Kunal leads two research projects: on the political economy determinants of economic growth; and on the political economy of the National Employment Guarantee Act in India. 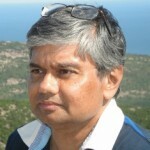 Kunal was until 2011 the Chair of the British Association for South Asian Studies, one of the world’s largest learned societies on South Asia. He was awarded the Sanjaya Lall Prize in 2006 and Dudley Seers Prize in 2003 for his publications. His recent books are State-Business Relations and Economic Development in Africa and India (London: Routledge 2012); Trade Policy, Inequality and Performance in Indian Manufacturing (London: Routledge 2008); International Competitiveness, Investment and Finance: A Case-study of India, with A.G. Kumar and R. Vaidya (London: Routledge 2003); and Saving, Investment and Growth in India, with P. Athukorala (Delhi: Oxford University Press, 2002). In his spare time Kunal listens to jazz and Hindustani classical music, and watches test cricket. What has been ESID’s most significant achievement so far? For our 18-month long research inception phase, we asked leading scholars from the US, Europe, our partners, and the UK, to review the literature on the politics of development. The resulting path-breaking papers were significant in helping us understand the research programme itself. A set of papers are to be published in a research monograph by Oxford University Press, and several papers will be published in the best journals in the field. What is the most important challenge of overseeing a diverse transnational partnership? Our researchers are at very different stages of their careers – some are early career researchers, some mid-career, and some are more established – and they come from very different parts of the world – Latin America, South Asia, Africa, UK and North America. We want them to be committed to the ESID research programme – producing good, policy-relevant research that can get into high quality research publication outlets – as well as to our uptake strategy and capacity-building initiatives. The biggest challenge has been to ensure steady commitment from the start and to maintain it over six years. Our annual workshops have helped us to establish that the commitment is still there and to regenerate our researchers’ interest. We also meet for frequent bilateral meetings. There have been no significant dropouts, and we do have a committed network of researchers. What makes your ESID work relevant? Across donor agencies and in many developing countries there is a strong interest in inclusive, shared broad-based growth. But we don’t know how such growth occurs and how we can maintain it when it starts. In Africa, for example, inclusive growth starts but does not last long. My research asks why some countries manage to maintain growth, while most in the developing world cannot. How are politics and institutions important in that? I am working with researchers from other parts of the world using cross-country econometric methods and country case studies. We are getting a sense that politics and institutions are important in ways that we never expected when we set out. The research is evolving – and I hope will contribute significant understanding of why we do not tend to see sustained economic growth in most parts of the world. What is the next frontier of development research? We need a better understanding of institutions and governance. Our research links with work being done by leading UK and US researchers, who argue that politics is important in shaping institutions. That’s fine, but the bigger question is: how exactly does it matter? What kind of politics shapes institutions, what shapes economic development? How can we understand what policy makers and donor agencies can do to bring about better quality institutions? We are addressing these questions in this next stage of development research. What should be the focus of the post-2015 development agenda? The earlier development agenda leading up to the MDGs was largely focused on quantity-based approaches: trying to improve levels of schooling, reduce poverty and infant mortality rates, and so on. This was important, because many countries had very high rates of poverty, infant mortality, maternal mortality, etc., so the focus was on getting children to school, making sure mothers survive childbirth, that their babies survive to the age of five. There was significant progress on these dimensions. The next challenge is to look at, for example, what children are learning when they get to school; or whether mothers and infants on nutrition programmes are getting the right kind of nutrients, as well as programmes to maintain their health subsequently. A lot of the focus has to be on quality issues, which are harder to get at than quantity – it is easier to build a school and get a child to attend than to ensure teachers teach effectively and children learn. That will be the big challenge of the post-2015 agenda. We need to push the quality issue now, as quantity-based indicators are not as relevant any more. What are the key challenges involved in the pursuit of inclusive development? The biggest challenge has been the question of how we get good institutions in place. It seems obvious, we should know what good institutions are. But the politics of achieving good institutions for inclusive development has been very difficult. This is partly because elites – political and economic leaders – are not always interested in good institutions. This applies not just to domestic elites in southern countries, but also to transnational elites and perhaps elites in developed countries. Often good institutions mean somebody loses out, because institutions are not neutral in the way they affect economic and social development outcomes. The question is how to find politically feasible ways to bring in better quality institutions. The challenge for ESID is to think of practical mechanisms that can bite in terms of policy outcomes, whereby we can push the agenda forward in trying to understand how good or ‘good enough’ institutions emerge in developing countries. What is most exciting about your ESID project? For me this has been the intellectual excitement of working on economic growth – and two aspects especially. Secondly, in ESID we are looking at the politics and economics of growth in a very new and different way from what has been done before in the policy field. We are developing a new view of growth that we feel has a lot of policy traction. When we present our work at DFID and other policy platforms, we see excitement about the work we are trying to do. We are still halfway through – the publication and uptake stage will reveal whether others share my enthusiasm. Which development policy change is most challenging? Inequality is increasing in both the north and the south. There are several ways ESID can answer the question of what to do about this. We need institutions that are equality enhancing, because they lead to sustained and broad-based economic growth. This is difficult, as trying to reduce inequality means taking on vested interests, who do not want to see their income share reduced. This is challenging for academics and the policy community. But we have to do it – we cannot let inequality stay as it is and increase over time, as much of the gains made with the 2015 MDGs and in other aspects of inclusive development will be lost. How can research be made relevant to practitioners and policy makers? For one of the research programmes on the National Employment Guarantee Act in India, we involved policy makers and practitioners at the very start of the process. We approached them and said ”we want you to work on this issue, and we want to involve you in this very important social programme; we want you to tell others about our research, to tell us what you think we should be working on, and to be champions of our research findings”. That has worked. The policy makers and practitioners felt that our interest in what they had to say at the very beginning was unusual – often researchers produce a paper, write a policy brief based on it, and then take it to the policy makers. By that time the conversation is relatively closed. So as far as possible we should try and bring in policy makers and practitioners right at the very beginning.